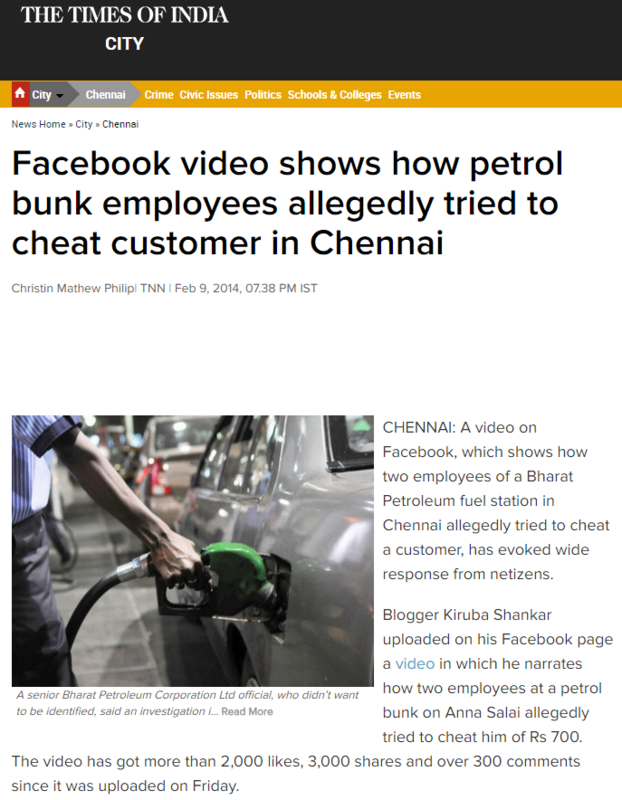 CHENNAI: A video on Facebook, which shows how two employees of a Bharat Petroleum fuel station in Chennai allegedly tried to cheat a customer, has evoked wide response from netizens. Blogger Kiruba Shankar uploaded on his Facebook page a video in which he narrates how two employees at a petrol bunk on Anna Salai allegedly tried to cheat him of Rs 700. The video has got more than 2,000 likes, 3,000 shares and over 300 comments since it was uploaded on Friday. “I just caught the staff red-handed at Bharat Petroleum fuel station on Anna Salai. They tried to steal Rs 700 worth of petrol” Kiruba Shankar wrote on his Facebook page. “I paid for Rs 2,000 for the fuel and as the meter reached Rs 1,300, one of the guys tried to distract me by asking for my car number. Immediately, his accomplice manning the fuel pump stopped the pump and quickly reset the meter” read his post. “As soon as the guy asked me for the number, I smelled a rat and saw the pump just when the guy was resetting it. I created a scene and the crowd started to gather. Others noticed what the guy did too. The Bharat Petroleum Corporation Ltd (BPCL) employees panicked,” it added. Kiruba said that he had received an overwhelming response from the netizens. “I have both pictures and video footage as evidence. They also approached me for a compromise but I didn’t agree. It is also shocking that many people have also been cheated in several fuel pumps in the city. 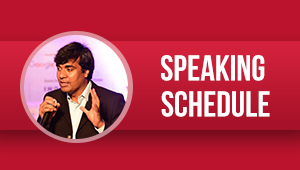 People are frustrated because of these malpractices, especially at time of rising fuel prices”. A senior BPCL official, who didn’t want to be identified, said an investigation into the incident was on. The management of the outlet was unavailable to comment. However, insiders said the two employees were suspended after the incident. TOI has written about malpractices in fuel stations several times. Records show more than 80 outlets in the city have been booked and nearly Rs 1 lakh have been collected as fines from them by the legal metrology department since 2009. The public can call 044-24320887 to register complaints.